Our last sale was quite some time back now, so we thought it was high time to have a brief sale to make space for all the new stock that is coming in from our recent sourcing trips! 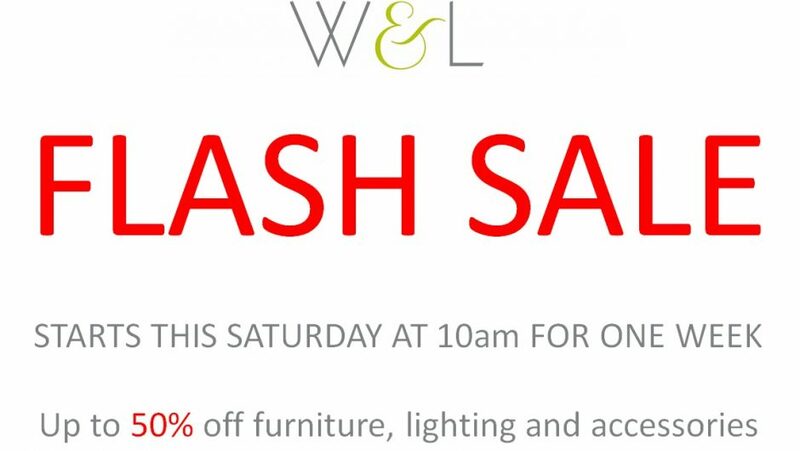 So, as of tomorrow (Saturday 11th) at 10am, there will be up to 50% off a selection of lighting, furniture and accessories. The sale will run until Friday of next week (17th). Our showroom will be open from 10-4 on Saturday, closed on Sunday and open 9-5 Monday to Friday.